Edun is a for-profit business founded by Bono and Ali Hewson in 2005. Its goal is to create a fashion brand that will be known globally, spinning beautiful clothing and at the same time helping in the development of trade with Africa. In 2008, in collaboration with the Wildlife Conservation Society or WSC, Edun set up the CCIU or the Conservation Cotton Initiative Uganda. At present, Edun proudly introduces CCIU cotton in its Kenya Kids Tees and Edun Basics collection. 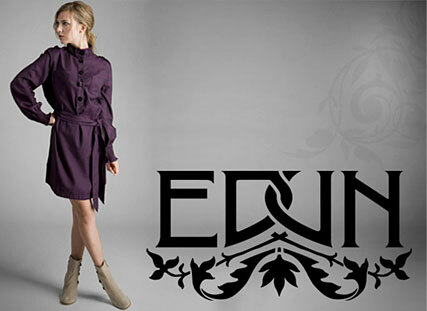 Edun is sold in leading department stores all over the world. Take advantage of the MYHABIT deal for Edun Clothing. Buy shirts, sweats, dresses, jackets and more with up to 50% off from the original price. Please click this link to avail of the discount: MYHABIT. This event ends on Thursday, July 28.